Winters makes our skin dry and dull therefore, more hydration and moisture is needed. 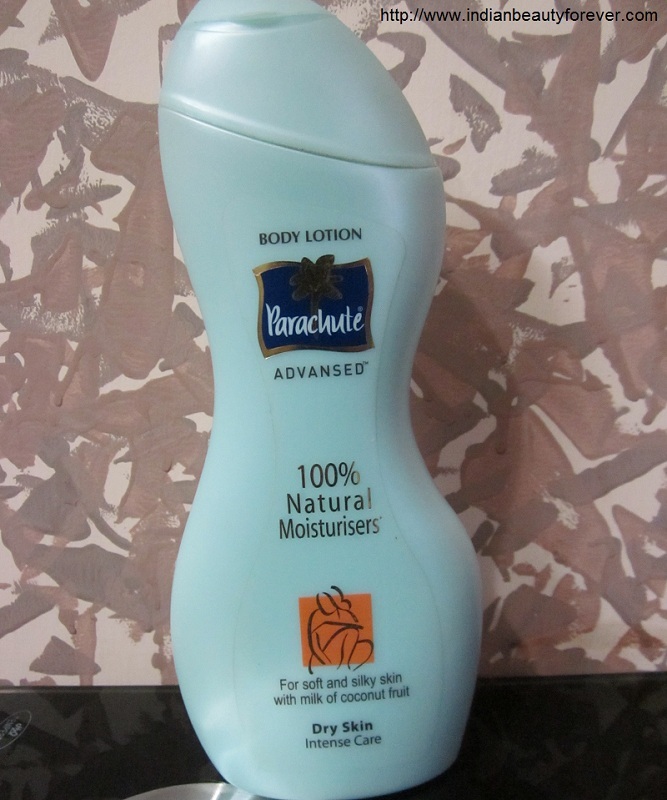 I like to try different Body lotions and today, I will be reviewing Parachute Advansed Body lotion which is made for dry skin. they also have a variant for summers. Ingredients- please see image below. Claims- Parachute Advansed body lotion, the only moisturizer with 100% Natural Moisturizers and goodness of coconut milk makes skin delightfully soft and smooth in just 7 days. Now, treat yourselves to Parachute Advansed Body Lotion, which helps you rediscover soft skin and naturally so! Enriched with the goodness of coconut milk, it works in a superior manner to actually penetrate deep into skin and nourish it from within – leaving your skin feeling soft, glowing and supple, absolutely irresistible to touch! Experience- First of all, I loved its smell and coconut milk as one of its ingredients. It is the intense care one for those with dry skin. It is has a pretty good texture and gets absorbed well and keep the skin moisturized and hydrated for good 5-6 hours then you need to reapply it. My feet are very dry, so, it was not able to keep them hydrated and soft and hence, I had to reapply it. 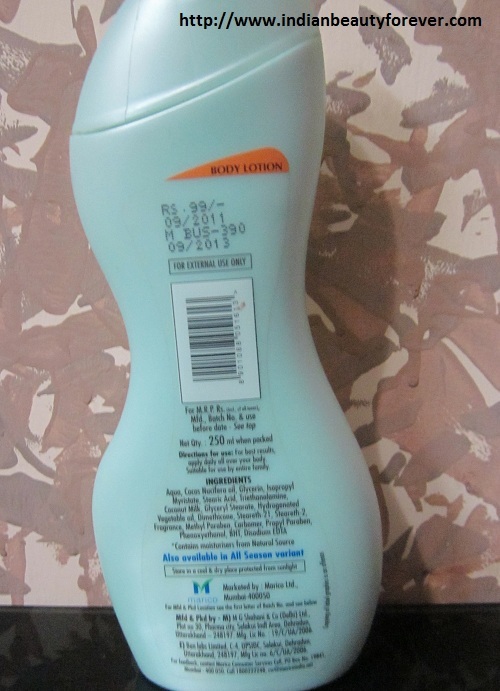 It’s a good body lotion but it may not be able to provide adequate moisture to your overly dry areas for long time. I do not have dry areas except for my feet as i told so for me it indeed does a great job and also i do not like lotions which makes skin greasy. i love products with light formula that gets absorbed well. 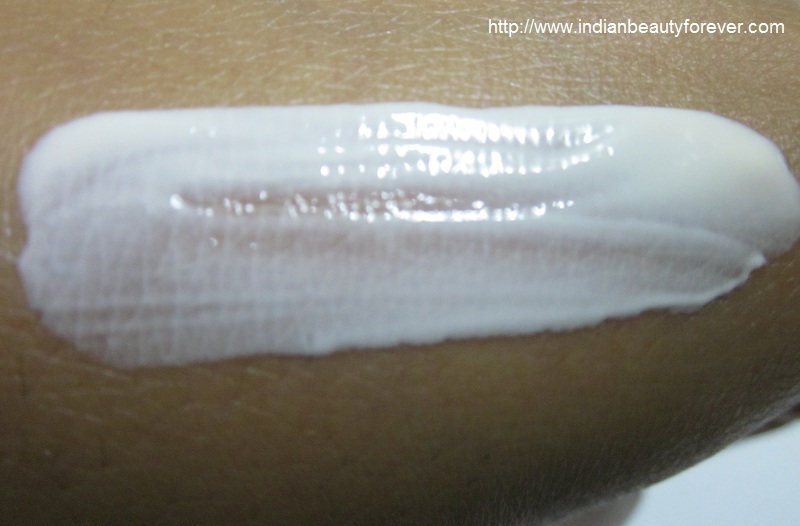 The coconut milk in this helps in making the skin soft and silky and I think 99 INR for a 250 ml bottle is quite good. It is always good to apply your body lotion or creams when your skin is already damp after you have taken a bath.If you have extra dry skin then Dry the Parachute Deep nourish Body Lotion for Extra Dry skin. Easily available and has a travel friendly packaging. Hydrates and moisturizes the skin for good 5-6 hours. Decent texture and absorbs easily. List of ingredients is mentioned on the pack. It may not be able to give hydration to very dry areas for a long time though it is formulated for very dry skin. Reapplication is needed frequently. My take- Decent body lotion with great smell and the goodness of coconut milk but may not score well when used on very dry parts of the body. I will definitely recommend it. i didnt try this dear.summer lotion is ok type only. This one is fine, but for very dry skin, it does not last long though. NIce Review Niesh :D Happy Sunday! happy sunday to you too.. noo i am late..
yes, it does gets absorbed very quickly.. i liked that about it. Try it Nivedita, as far as i know, i will suit you. Thank you Neha..:) it is a nice body lotion. is it.. nice fragrance na..:) coconut milk. I am an ardent fan of Parachute products...hair oil, body lotions...like they say 'Old is Gold', right? Hey, have you checked out their new variant, Parachute Advanced Deep Nourish body lotion? I am dying to get a bottle for myself. Do review it if you get a chance. I used to love their pure coconut oil a lot. I will try that soon since i am done with the current one. will use that and review.